The weather here has been amazing lately and it has me so excited for summer! I have been hauling all of my fall/winter wardrobe out of my closet and making room for my spring/summer attire. 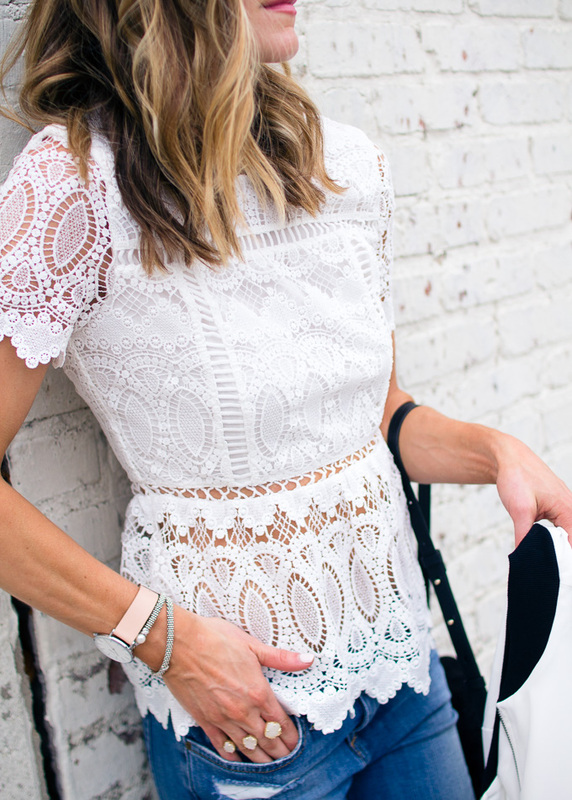 I love bright whites, lace, and all things neutral for the summer. There is something about how the white looks on summer tan skin (post coming this week on sunless tanning) that I just love. I had been on the hunt for a white jacket for summer to wear in place of my leather jacket and just love the look of the white bomber jacket from Nordstrom. It adds a casual, sporty element to any look. You can wear it with a blouse and jeans or over a dress and heels, works well for both dress and casual. It is so versatile and you will see me wearing this countless times this summer. Another trend I love for simmer is lace, especially anything white and lace. 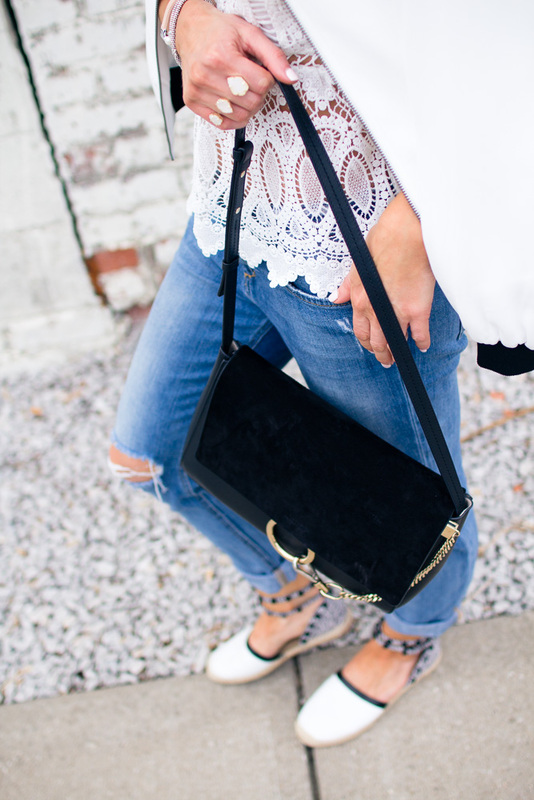 This lace peplum tee is adorable. I also love this off-the-shoulder one and ruffle lace cami here. These Rebecca Minkoff espadrilles from Nordstrom paired perfectly with my outfit. I love the studded detail. They are so comfortable and so glad I snagged these for summer. Fun look! Love the jacket, love the top, love the shoes!! Just beautiful! This top is stunning!! I love it! 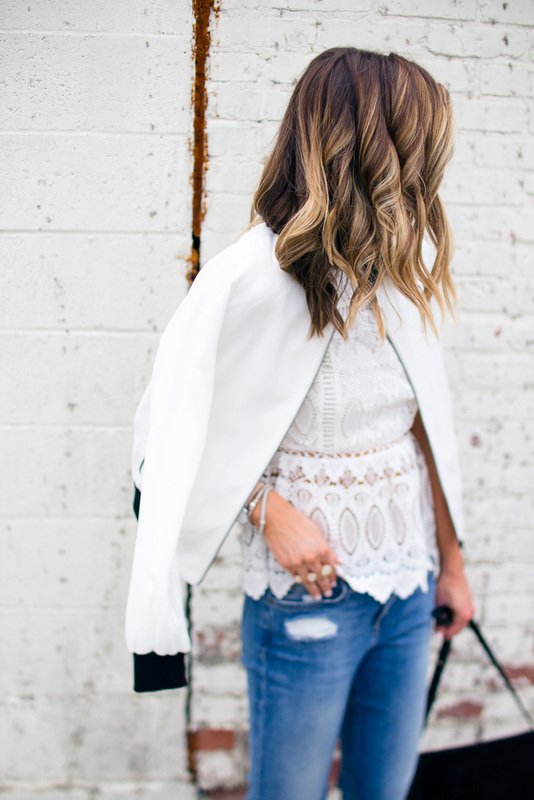 That is the dreamiest white lace top! Stunning! !